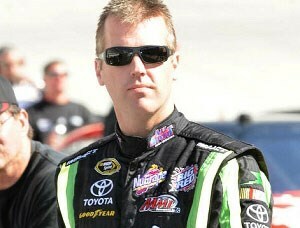 Jeremy Mayfield suspended after violating a tough new policy. Owner/driver Jeremy Mayfield has been suspended indefinitely by NASCAR for failing a random drug test, becoming the first driver to violate a tough policy introduced this season. Mayfield tested positive for an unknown banned substance at Richmond International Raceway earlier in the month and he immediately felt the effects of conservative NASCAR's no-appeal and no-second-chances approach. "In my case, I believe that the combination of a prescribed medicine and an over the counter medicine reacted together and resulted in a positive drug test," Mayfield said in a statement. "My doctor and I are working with both Dr. (David) Black and NASCAR to resolve this matter." Black runs NASCAR's drug testing programme. NASCAR hasn't revealed which banned substance was used by the 39-year-old Mayfield, who has five Sprint Cup wins in more than 400 starts. He has not won a premier class race since 2005 and was fired by Evernham Motorsports in 2006. This season Mayfield fielded his own small Toyota team but has struggled to qualify. Mayfield's suspension applies to his roles as both owner and driver of the #41 Toyota. The car can continue to race if entered by an owner other than Mayfield and with a different driver. NASCAR announced a stricter drug policy last year after a former Craftsman Cup racer, Aaron Fike admitted he had used heroin. This year, under the new regimen, all drivers and crew members were tested before the season began. Random checks on at least four drivers are done each race weekend. Mayfield can only get the green light to return to racing after he completes a rehab course dictated by NASCAR and tailored to each individual. Publicly at least, Mayfield's fellow NASCAR drivers have endorsed the tougher anti-drugs stance.